Sandro Magister has just published an article that should make all Catholics seriously reflect on the growing damage that Amoris Laetitia has created in the Church. The ambiguity, the confusion, the refusal to reaffirm - without any equivocation - Familiaris Consortio No. 84, is a grave error. The Pope has a solemn obligation before Christ to reaffirm with charity, but with clarity. Indeed, there is no charity, without clarity. It does not matter that Amoris Laetitia has many beautiful and true things in it. That is not the problem. The problem is, it contains a small, but dangerous bit of poison. For Catholics who feel weary about the abuse that the Christian family has lately suffered at the hands of militant secularism, Pope Francis’ post-synodal apostolic exhortation "Amoris lætitia" (AL) has many encouraging things to say: e.g., its forthright assertion that “no genital act of husband and wife can refuse” the truth that “the conjugal union is ordered to procreation ‘by its very nature’” (AL 80; cf. 222); its ardent rejection of the killing of the unborn (no. 83); its unapologetic affirmation that every child has “a natural right” to have a mother and a father (no. 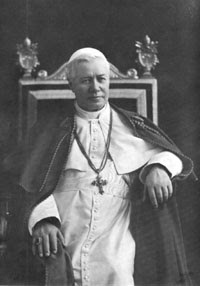 172), and its needed treatment – the lengthiest in any papal document of the last 50 years – of the importance of fathers for children (no. 175). But though the text says many true and beautiful things about “love in the family,” Chapter 8 (entitled “Accompanying, Discerning and Integrating Weakness”) allows – and seems intentionally so – for interpretations that pose serious problems for Catholic faith and practice. 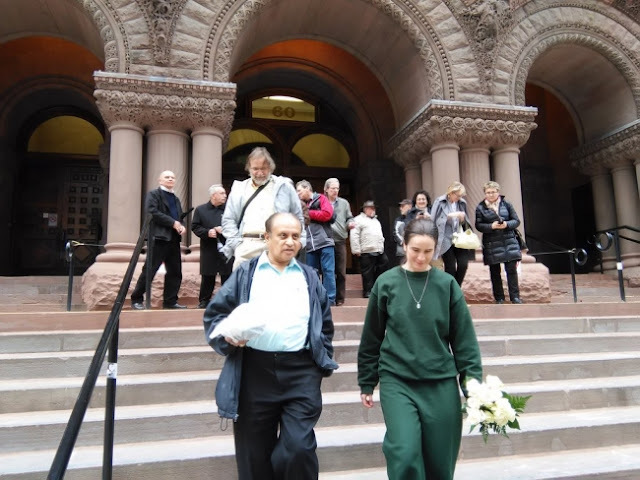 Yesterday, at the Old City Hall Courts in downtown Toronto, Mary Wagner was convicted of mischief and probation violation. About 50 supporters turned up, many carrying white roses. Court resumed at 2:15 p.m. A letter written by a citizen to the court raising a point of order on abortion was dismissed by Judge Katrina Mulligan as "inappropriate". The Crown Counsel displayed a sneer on her lips as she turned from her podium, where a copy of the letter lay. Probation Officer, Liana Mischianti, was recalled to the stand. The Crown claimed she had "...one outstanding issue...I wish to prove she was on probation". The Judge acknowledged that Miss Wagner was on probation. The trial concluded, the Crown Counsel, Tania Monteiro, made her submission. She wanted "maximum time". Mary had shown ".... flagrant disregard for the law... she knows exactly what she did at the abortion clinic... she did it intentionally...flagrantly...she deliberately seeks to break the law...she had deep convictions... these convictions aside... there are no reasons for breaking the law". The Crown droned on: "... there were other procedures...D and C... makes Miss Wagner's behaviour that much more tragic... Miss Wagner has no idea why women went there... women attend in the throes of grief". The Crown claimed Mary's actions were "...grossly aggravating... her actions and beliefs are affecting people". The Crown continued, "her behaviour has been condemned in previous courts... blatant disregard of court orders". She then compared Mary to Linda Gibbons, denouncing Linda being in "violation of the community... condemned". 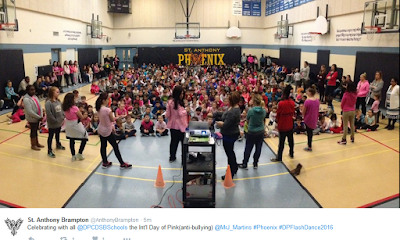 Mary was "...a zealot like Miss Gibbons... she will continue to violate the rights of others". The Crown then asked for six months as the only "appropriate length that is possible". With probation being "...three years at least". "This particular clinic is not her only target. There is no specific deterrence on Miss Wagner". Having concluded, the Judge intoned: "I am of the opinion that you have the time I can legally impose upon you... maximum sentence on this offense". The Judge continued that she "...did find your actions extremely selfish and narrow minded. You interfered with their lawful enjoyment of their property". The Judge spoke of "denunciation". The need to impose a massive sentence to "deter others; how important it is to obey the law... just because you have a personal moral code against the law. I place you on three years probation". Court adjourned at 3:20. Mary then attended Mass at St. Stephen's Chapel. It is important to take careful note of the warped mindset of the Judge and the Crown Counsel. These two individuals in placing the State as the supreme arbiter of morality - thought they no doubt would deny it - are actually professing fascist ideology. "...the Fascist conception of the State is all embracing; outside of it no human or spiritual values can exist, much less have value. (Mussolini, The Doctrine of Fascism, 1932). Dear friends, though Mary is free, the killing of the unborn continues unabated in this country. Please keep our dear sister in your prayers and all her intentions. We are all sinners, we all have committed sins of which we are deeply ashamed. Indeed, even the smallest sin is one to have deep shame and sorrow for. "I would rather die than commit a sin" said little Dominic Savio. He meant it, soon the little boy would die a holy death, and, in time be raised to the Altar. I was recently speaking with a holy Carmelite nun. She interjected into our conversation that everyone is called to be a saint; her passion was evident. "Everyone has the potential to be a saint"! , she said. Those words have stayed with me. 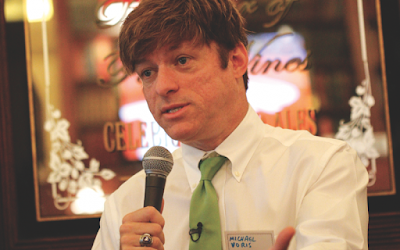 I now recall them as I write about Michael Voris. By the grace of God, working through Michael's mother, Michael threw off his sinful past life and became a new man. I believe there is a tradition in the eastern church of bowing towards the penitent as they come out of confession, purified in the Blood of the Lamb. God does not have a "memory", sadly, we do. We have a personal memory about our sins - it is driven by a doubt that God's forgiving love could be that good - yes, it is! We are also driven by what would others think. The real question is: what does Our Lord Jesus Christ think. The considerations of sinful men are of no importance. Our Lord Jesus Christ, being true God and true Man, did not have these weaknesses. Our Lord was an incredible lover of sinners. Indeed, that is why He came to the lost House of Israel. When it became evident to the Pharisees and the Scribes, in their racial pride and hatred, that Our Lord was also going to graft the Gentiles onto the Tree of Life, they killed Him. "It is better that one man should die, then the nation perish". This tragic hatred permeates the Talmud, making the Jewish Nation one to be deeply pitied and prayed for. Ultimately, their killing of Our Lord was a rejection of His Merciful Love. May the Jewish nation comes to see whom they crucified through the hands of sinful men. But there was a tiny remnant of Jews who did believe and follow Our Lord. The Gospels record many acts of forgiveness by Our Lord towards repentant sinners: the woman caught in adultery is one of the greatest examples. It is also symbolic of the eventual abolishment of the Old Covenant and the establishment of the New. Finally, nailed to the Cross, in the most horrible agony imaginable, Our Lord spoke words of forgiveness and salvation to St. Dismus. He was showing the Power of the Cross! Our Lord then enacted another great act of Mercy: he gave His Mother to His disciple, and His disciple to His Mother. The Cross is all about Mercy. To whom did Our Lord first appear following his Resurrection? His Mother, the Apostles? No, to a former prostitute, St. Mary Magdalen. Does this not show Our Lord's Love? In a certain sense, Mary became the first catechist, when she ran to Peter and proclaimed: "I have seen the Lord". Yes she first "saw" the Lord when His incredible love forgave her her sins. I shall pray for Michael Voris. The past does not matter, what matters is the future. Every saint had a past. Every sinner has a future. Please also pray for me, for I am a sinner and in need of your prayers. The Adventures of Fr. 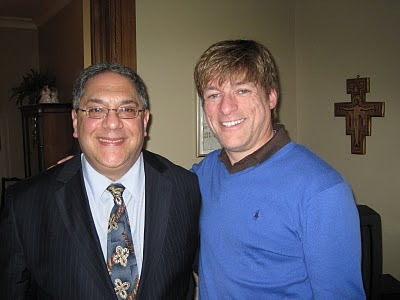 Aidan McNutty: Archbishop Weakling meets "Freddy the Fabricator" ! Deep within the dimly lit council chamber, Msgr Frederico Fabrizzi was collecting dossiers on traditionalists. These documents were essential in the battle against the Catholic Church that was being waged relentlessly by Modernists. This particular morning, Msgr. Fabrizzi had been busy with his underlings in collecting - nay, distorting and down-right lying about the activities of St. John Chrysostom's Parish. Extinguishing his last cigarette on an exquisite mahogany writing desk, Msgr. Fabrizzi finished his cognac with gusto and strode towards an elevator which proceeded to bring him up thirty or so feet to street level. Exiting the unit, the cleric proceeded down a long corridor lined with paintings by Italian and other European masters. Within a few minutes he was strolling through grounds familiar to millions. 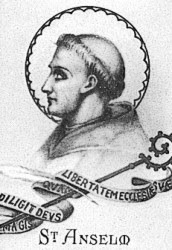 This erstwhile enemy of Catholicism was in none other than St. Peter's Square! Entering his limousine, provided by the Secretariat of State, the Monsignor drove through the bustling streets of Rome to meet his good friend, Archbishop Rupert Weakling. The Archbishop, in Rome for his ad limina visit with the Supreme Pontiff, His Holiness Pope Benedict XVI, had excused himself from the meeting on the grounds of claiming a migraine. Not wishing to press the point with the de facto schismatic American Bishops, His Holiness had decided (after firm prompting from certain cardinals) that the Archbishop's presence was not essential to the discussion on the Nicomachean Ethics of Aristotle that was to be the main topic for the Bishop's Conference's working lunch with the Vicar of Christ. Fabrizzi, a fanatical gnostic with a particular hatred for the papacy, eagerly embraced his friend:" Welcome to Italy, Rupert". The two men had been friends since the Council. There, they had started off as nominal Catholics with liberal inclinations. By the time Fr. Weakling had returned to America in 1966 (after touring Europe for six months with assorted "friends") he was a die-in-the-wool anti-Catholic. It was at that time that Weakling wrote several progressive articles on situational ethics and began teaching at a seminary. He had been told that pastoral work was definitely out if he wanted to be a bishop - and did he ever!! Fabrizzi too had undergone a major transformation. Coming from a staunchly Catholic family, he broke with the Church after Humanae Vitae. The lead-up to that break had been precipitated by a favourite uncle "marrying" a heretic in a registry office. Henceforth, Fabrizzi would be a vicious persecutor of traditional Catholics, hounding them out of parishes and "renovating" as many churches he could get his hands on. Some even joke that he outdid Henry VIII and Calvin in destroying altars. Be that as it may, the two friends embraced and proceeded to the five star Hotel de Russie bar for a good chat and quite a few drinks (courtesy of Archbishop Weakling's diocese collection). The two apostates strode into the bar and began ordering drinks. Weakling relaxed with whiskey, whilst Fabrizzi favoured his cognac. Both men were in their golfing gear and would soon be heading out to play 18 rounds, something the two did way back in the sixties. "How was your flight, Rupert? ", asked Fabrizzi. "I have to admit it was a bit bumpy on the flight from London, but the flight to London from New York was smooth", replied Weakling. "The only problem is the shortness of the flight. By the time you really begin knocking them back, you have to land again". "Well, you can't have everything. Besides, you have some penance to do", replied Fabrizzi. The two fiends (yes dear reader, fiends) laughed uproariously; the alcohol already beginning to affect their minds. "Tell me, Freddy: who's this 'Fr. Dominic Vobiscum' that I have read so much about? 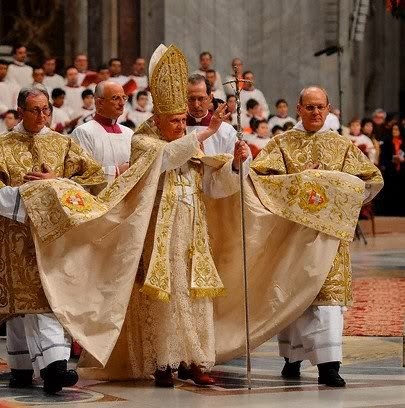 Is he really such a pain for the Italian bishops"? "Don't mention that name to me! Just thinking about Vobiscum makes me sick. "This guy's a fanatic. 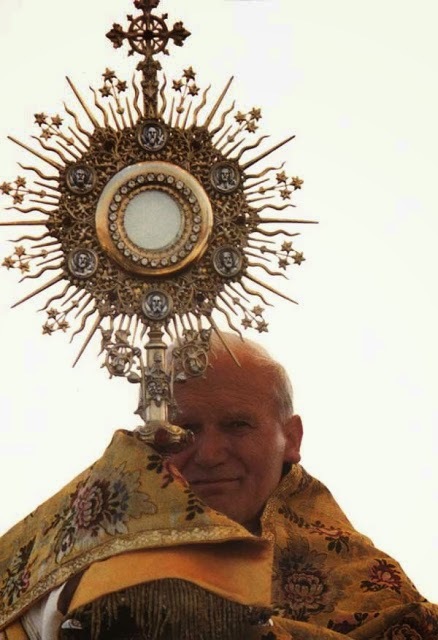 He only says the Tridentine Mass. What for? He's such a goon", snarled the Monsignor. "And he's dangerous. People are beginning to listen to him. He's also in contact with some of the worst integrists in the world". "It must be tough for you FF", sighed the Archbishop, gulping down his third drink. "Well of course its tough! Here we are, about to converge with Anglicanism and Lutheranism and this guy comes out and starts to undermine everything we've been working for. 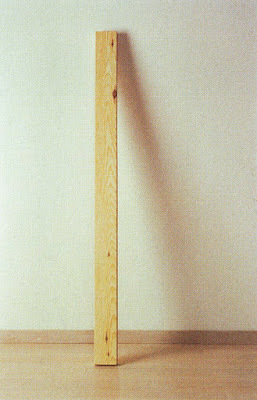 I don't know why the Pope won't get rid of him". "Let's play some golf", grunted Weakling, starting up from his chair. Marginally intoxicated, the Archbishop bumped into a mini-skirted waitress, knocking her tray to the floor with a loud crash of dishes and cutlery. Mumbling an apology the Archbishop and the Monsignor retired from the dubious bar before the manager could see who it was. The two men staggered into a Vatican limo and sped off in the direction of Rome's golf course that catered to the jet set. Inside the car, Fabrizzi was comforting the Arcbishop about the pestilential traditionalists. "So I hope you feel better now, that I've spoken to Cardinal....", said Fabrizzi. "Sure, Freddy, replied Weakling, he's a good man and in this way, those traditionalists will never get to the Pope. 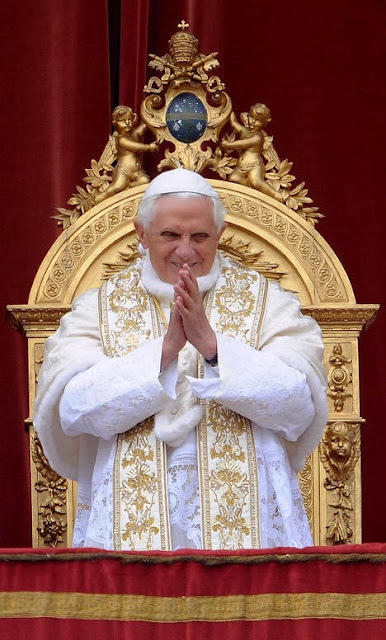 Anyhow, with all the projects Ratzinger is involved with, he'll never get round to supporting the traditionalists - at least I hope so." 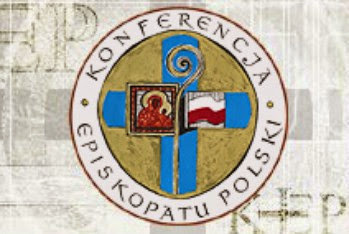 "The key is to convince the Pope that they are divisive, anti-ecumenical, anti-semitic, and especially against bishops! If we can do that- he'll be scared stiff. 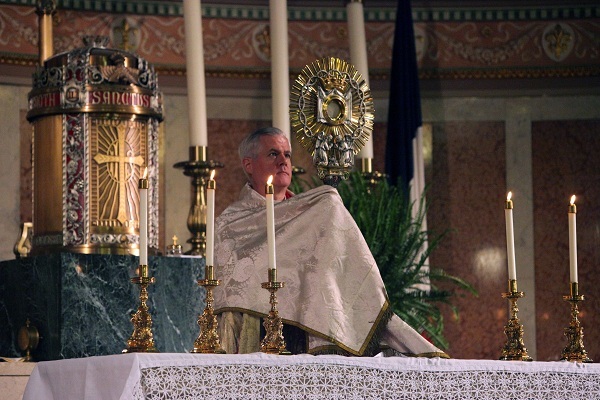 Remember Rupert how some of your bishop friends brow-beat Montini into "forbidding" the Tridentine Mass?" Weakling, feeling a bit more comforted, lent back and switched on a CD of some 'Hip-Hop'. Atrocious computer generated sounds filled the car, accompanied by a dull metronomic drum beat. This was Weakling's way of trying to ingratiate himself with the apostate youth of his diocese; to take up the cult of man through the promotion of frightful jungle rhythms. There have been, and will continue to be, hysterical outbursts from nascent schismatics pertaining to the non Magisterial pronouncements contained within the Papal document, known as Amoris Laetitia. 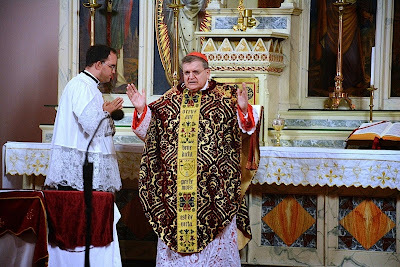 A number of over-zealous self-styled theologians have even gone so far as to denounce Cardinal Burke for not himself denouncing the Pope in a fit of hate and rage. Without love for - even one's enemies - all the orthodoxy in the world will not stop the hater from becoming a "hireling". No doubt, we will not have to wait long for Bishop Athanasius Schneider to be pilloried by those whose ignorance is only outdone by their arrogance. One sane voice in this hellish din (being encouraged by Satan and his minions) is the voice of Fr. Gerald Murray of the Archdiocese of New York. I thank Vox Cantoris for drawing our attention to the very serious interview conducted by Raymond Arroyo with Fr. Murray (and Robert Royal) on the strengths and weaknesses of the Exhortation. One grave weakness in the document is the Pope's seeming attempt in one part of AL to download doctrinal decisions to geographic location. This is, really, when one thinks about it, a variation of the old hopelessly illogical and untenable Anglican "Branch Theory". 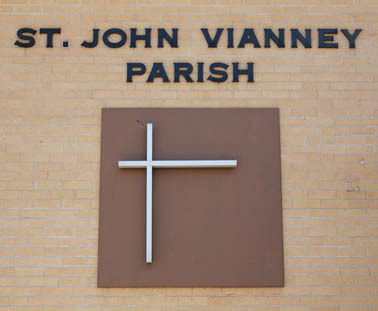 The Church of Christ is one, but different according to national region. Hence, in England one is an Anglican, in Italy a Catholic, in Russia an Orthodox. This becomes doctrinal relativism. Fr. Murray has this to say about this "branch theory" attempt: "well, I think this is a dangerous statement precisely because we are talking about the universal law of the Church regarding the administration of the Sacraments... that is very disturbing..."
The entire video can be watched at Vox Cantoris. Papal Inflight Press Conference: Is Vatican Radio misleading us again with false information? The Pope held an inflight press conference from Lesbos to Rome, and we are getting conflicting reports as to what he said. An alleged full version is available here. I say alleged, because we have a different version from the Vatican Radio. This morning when I was leaving Senator Sanders was there. He had come to participate in the ‘Centesimus Annus’ Conference and greeted me politely together with his wife (…) It is called ‘manners’ and has nothing to do with politics” he said. “If someone thinks that greeting someone is getting involved in politics,” he said, “I recommend that they find a psychiatrist". Crux (and others) claim the Holy Father referenced mental health issues for those who questioned the possibility that Mr. Bernie Sanders' meeting with him could be open to political manipulation. 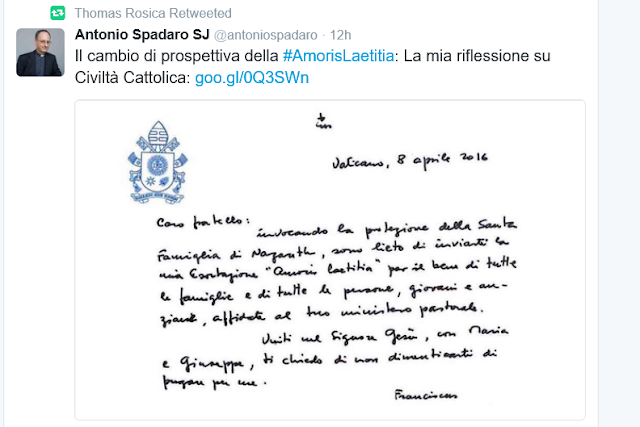 Vatican Radio emphatically has a period after "politics", no reference to a psychiatrist. Just who is telling the truth? Vatican Radio, or the various secular news outlets? Are we going to discover - once again - that Vatican Radio (just like the Holy See Press Office) is guilty of - and not for the first time - misleading information? Special Advisor to Pope Francis, newly created Cardinal of the Holy Roman Church, Bernie Sanders, speaks at the Vatican ~ new video ! 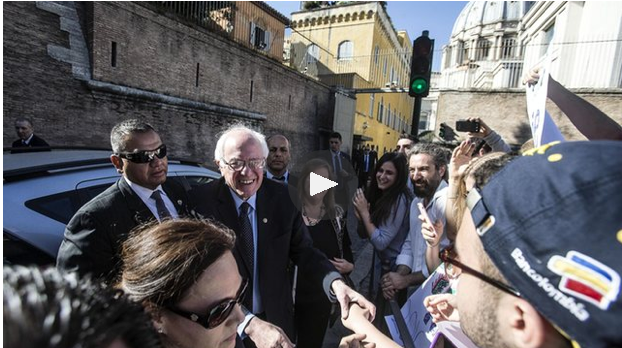 A video has now been posted on the internet of Bernie Sanders at the Vatican. Yesterday, April 15th, the Senator from Vermont was appointed Special Advisor to Pope Francis and in an extraordinary move, was created a lay Cardinal by the Pope. The formal Vatican announcement may be read here. 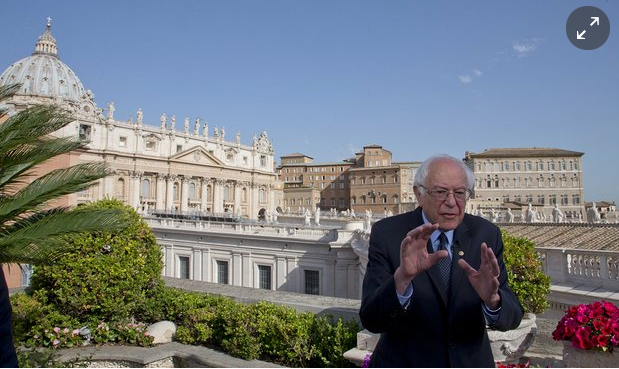 Senator Sanders in his capacity as Cardinal is now formally: Reverendissimo et eminentissime, Dominus, Barnardus, Sanctae Romanae Ecclesiae (The most reverend and eminent Lord, Bernard, Cardinal of the Holy Roman Church) . The Supreme Pontiff, Pope Francis, by his apostolic authority - all laws and customs notwithstanding - hereby conferred upon His Excellency, Mr. Bernard "Bernie" Sanders, United States Senator from Vermont, the title and full dignities of cardinalis laicum, Friday, April 15th, 2016. His Excellency, Mr. Sanders has been appointed Special Advisor to the Supreme Pontiff as an ex officio Member of the Pontifical Council Justitia et Pax. OECTA continues to support deviant sexuality ~ where are the parents, priests and the bishops? The Ontario English Catholic Teachers Association (OECTA), is a strident, militantly secular union that should not be permitted to use the word "Catholic", in its name. Well known for the promotion of dissent against the Faith (e.g. priestesses etc. 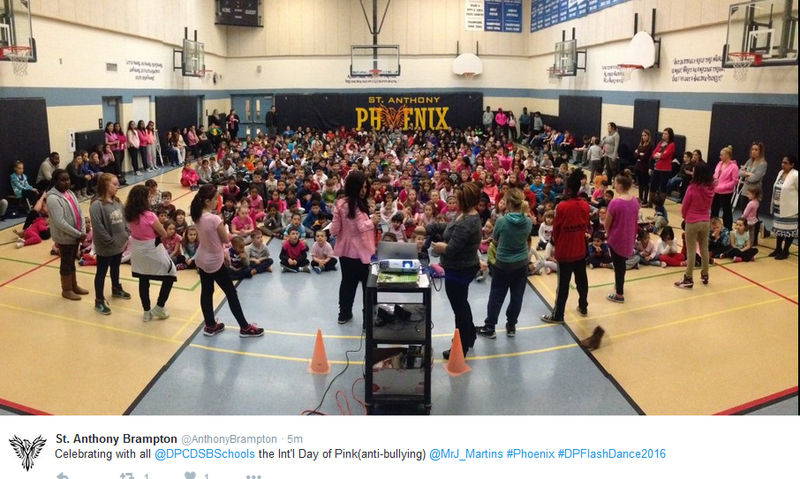 ), OECTA continues, as it has for decades, to corrupt children in Faith and morals. 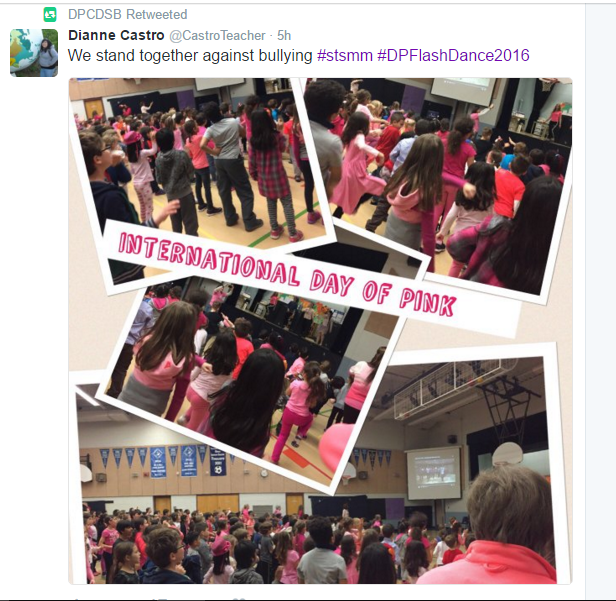 Are there no real Catholic teachers left, who will stand up to the tyranny of OECTA? Or, is the Union so totalitarian in its grasp and intimidation of teachers, that it has cowed those follow Christ and His Church into silence? What of the parents? 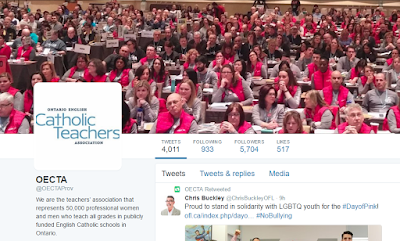 Are there no parents who are disturbed by the evils that OECTA creates in its ideological incubator, the classroom? What of the priests? Are there no priests willing to stand up for the Truth? 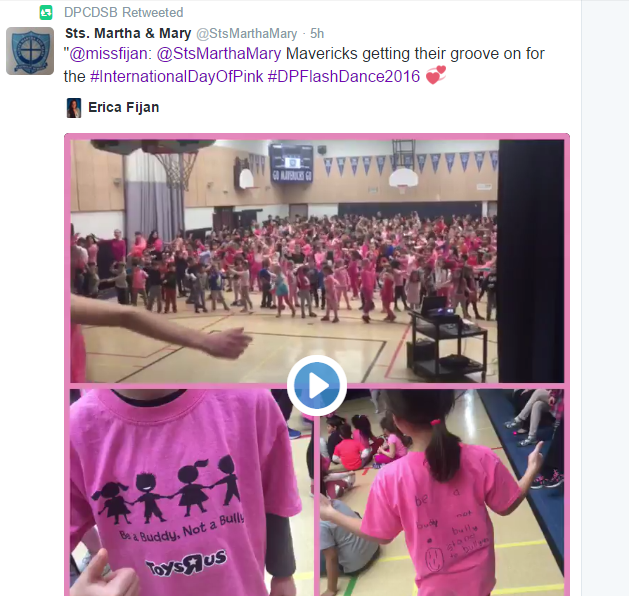 Were there no priests, for example, in the Dufferin Peel District ready to say, "no" to the gender ideology of the "Day of Pink" that was forced on our Catholic children? Are these the same priests who signed the parishioner in good standing forms when these dissidents were looking for a job in the Catholic school system? But what of the bishops? 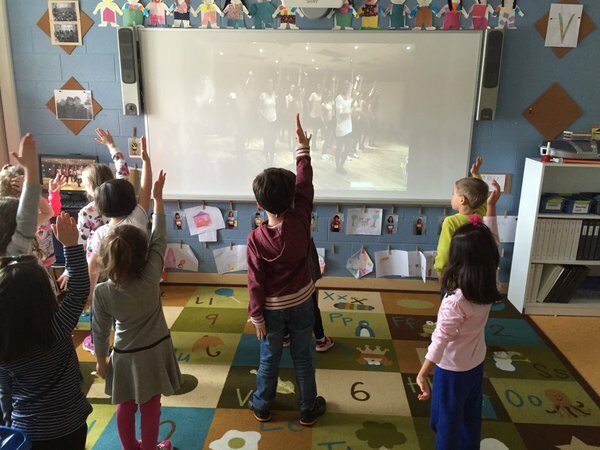 Ultimate oversight of the Catholic schools is the responsibility of the bishops. 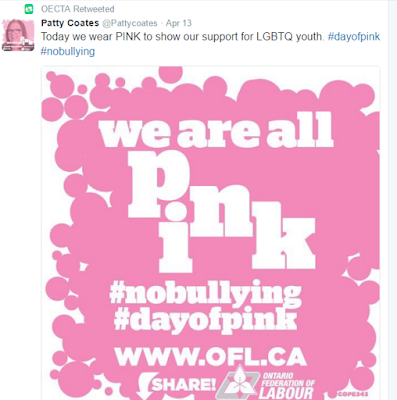 Cardinal Collins may only have nominal oversight, but he does have the canonical authority to strip OECTA of its use of the word "Catholic". He does have the pulpit in which he and his auxiliaries can speak out against gender ideology, against the corruption of our youth. 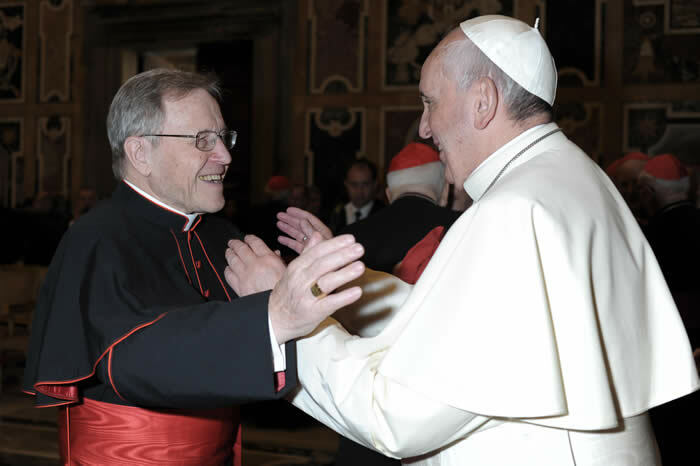 Cardinal Burke is correct: Amoris Laetitia and the Papolatrists from the "Left" and "Right"
7. Nor do We propose to make this encyclical a solemn proclamation of Catholic doctrine or of moral or social principles. Our purpose is merely to send you a sincere message, as between brothers and members of a common family. 3. Since "time is greater than space" I would make it clear that not all discussion of doctrinal, moral or pastoral issues need to be settled by interventions of the magisterium. Sad, but predictably in all of this, are the recent abhorrent attacks upon Cardinal Raymond Burke. Self-styled theologians, schismatics, and perhaps even de facto cult leaders are excoriating him because he has not taken the path of falling into schism himself. 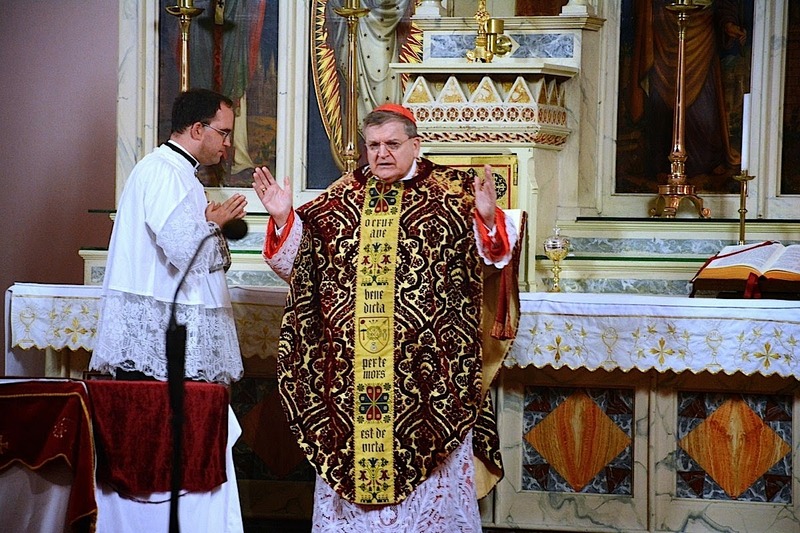 Please continue to pray for true men of the Church like Cardinal Burke, who will not, for any reason, rush off to some Synagogue of Satan. Truly the devil is laughing. The "Celebrity" priest, James Martin S.J., writing in the dissident Jesuit periodical, America has a lot of things to say. 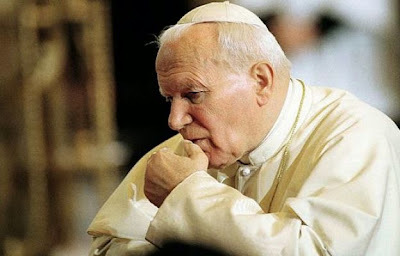 In fact, James Martin, within a day of the publication of the confusing Exhortation (we still DO NOT have a commitment - one way or the other - from the Pope regarding Familiaris Consortio), has moved the goal posts; distorting the already ambiguous words of the Pope to serve Martin's heretical agenda. I can agree with the bishop on the former part of his statement, but not on the latter. We still do not know where the Pope stands on No. 84 of Familiaris Consortio. The Catholic Church is not about a "deft and impressive balancing" between truth and falsehood (how else can one describe "many and often contradictory interventions..."?). Pope Francis has merely kicked the ball a bit further down the road. 56. In order to justify these positions, some authors have proposed a kind of double status of moral truth. Beyond the doctrinal and abstract level, one would have to acknowledge the priority of a certain more concrete existential consideration. The latter, by taking account of circumstances and the situation, could legitimately be the basis of certain exceptions to the general rule and thus permit one to do in practice and in good conscience what is qualified as intrinsically evil by the moral law. A separation, or even an opposition, is thus established in some cases between the teaching of the precept, which is valid in general, and the norm of the individual conscience, which would in fact make the final decision about what is good and what is evil. On this basis, an attempt is made to legitimize so-called "pastoral" solutions contrary to the teaching of the Magisterium, and to justify a "creative" hermeneutic according to which the moral conscience is in no way obliged, in every case, by a particular negative precept. "There frequently lies a corruption of the idea and the experience of freedom, conceived not as a capacity for realizing the truth of God's plan for marriage and the family"